Our 10 year old Springer “Butch” has finally began to slow down. He’s Mr. Energy and it seems hitting the 10 year mark has been a turning point. 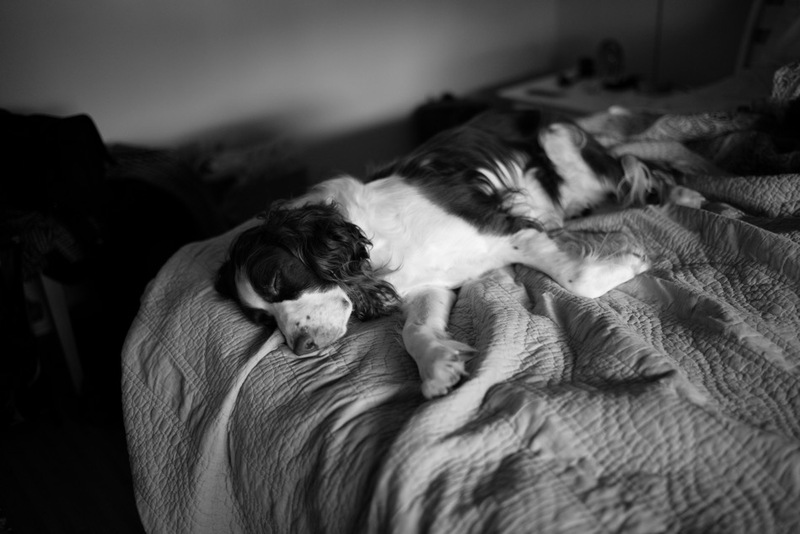 This entry was posted in Travel and tagged B&W, Leica 35mm Summilux ASPH., Leica M240, Pine Shadows, Springer Spaniel. Bookmark the permalink.